Is it worth the extra trouble to make eggnog from scratch? In a word - YES! Our dedicated taste testing of this recipe conclusively proved that homemade eggnog is a much smoother, richer drink compared to the store-bought carton variety. We have used brandy and dark rum in this recipe, but you may prefer bourbon or rye whiskey, or no alcohol at all. It's up to you! All liquids should be very cold. Refrigerate in advance. Beat the eggs for 2 or 3 minutes with an electric mixer at medium speed until very frothy. Gradually beat in the sugar, vanilla and nutmeg. 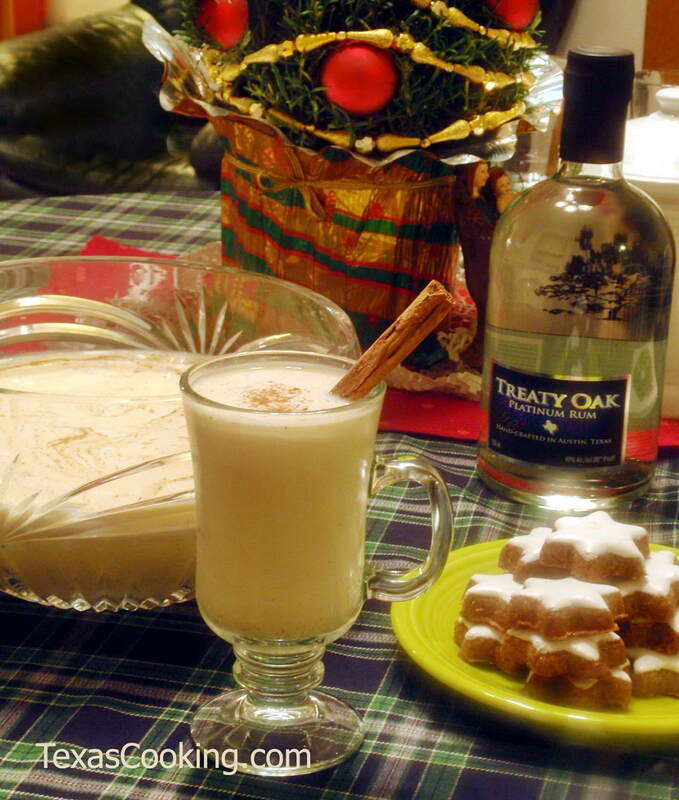 Turn the mixer off and stir in the cold brandy, rum, whipping cream and milk. Chill before serving. Sprinkle individual servings with more nutmeg. Note: If uncooked eggs are a concern, there are options. Pasteurized eggs are available now in most supermarkets and are completely safe. They are particularly well-suited for eggnog but, unfortunately, not for chiffon pies since they do not whip up into billowing meringue. If you are using unpasteurized eggs, wash them well with liquid dishwashing detergent and rinse before cracking the shell. Reconstituted eggs (powdered eggs) are not recommended for eggnog. Increased restrictions on conditions in commercial egg farms have greatly reduced the incidence of salmonella in recent years.